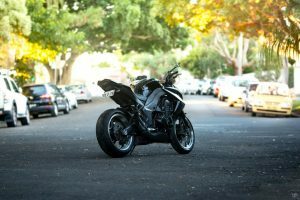 The goodfirm ICBC lawyers want to draw attention to a recent case involving a serious motorcycle accident. In Sundin v. Turnbull, 2017 BCSC 15, the young man was rear ended while riding his motorcycle outside of Kelowna. He thrown from the motorcycle and landed 15 feet away. The plaintiff had the good fortune of wearing a helmet, but he has no memory of the accident. The defendant admitted liability for the accident, but took issue with the plaintiff’s alleged injuries and the extent to which they were caused by the accident. At the time of the accident, the plaintiff had recently graduated from UBC with a kinesiology degree. He led an active lifestyle and worked as a forest firefighter in the Yukon Territory. After the accident he suffered from headaches, difficulty sleeping, irritability, mood problems, problems with his memory and suffered ongoing neck, back, hips, knee and jaw pain. His doctor diagnosed him with an adjustment disorder from having to cope with chronic pain. After reviewing the evidence of a number of specialists, medical experts and doctors, Madam Justice Gerow found that the plaintiff will continue to suffer from chronic pain and cognitive and memory problems in the future, and will likely suffer flare ups of both his physical and psychological symptoms from time to time. She found that the medical evidence indicated that it was unlikely that the plaintiff would ever recover to his pre-accident life. The court awarded $175,000 for pain and suffering. Prior to the accident, the plaintiff had a goal of becoming a police officer or a firefighter in a rural area. He held demanding jobs as a forest firefighter and was described by his superiors as having a good work ethic. Because he had not obtained a full time position or established his career at the time of the accident, the court applied the capital asset approach rather than the earnings approach to determining his lost of income earning capacity. After the accident, he had difficulties with his employment as a fitness specialist related to his memory and moodiness. After leaving that job, the plaintiff had difficulty securing additional employment and the court found that the accident impaired his ability to earn income. Madam Justice Gerow found that he is unable to remember things and has trouble getting along in a work setting. His inability to obtain and keep full time employment is because of his limitations caused by the accident. She awarded $850,000 for his loss of capacity to earn income. The court also awarded $132,112 for the cost of future care with respect to the plaintiff’s injuries. The total awarded was $1,233,105.91. If you or anyone you know is injured in a motorcycle accident, give the lawyers at the goodfirm a call for a free consultation.